Located on the edge of the Cotswolds, Puckrup Hall boasts a championship golf course, the building itself dating from the late 18th and early 19th centuries, with later additions. 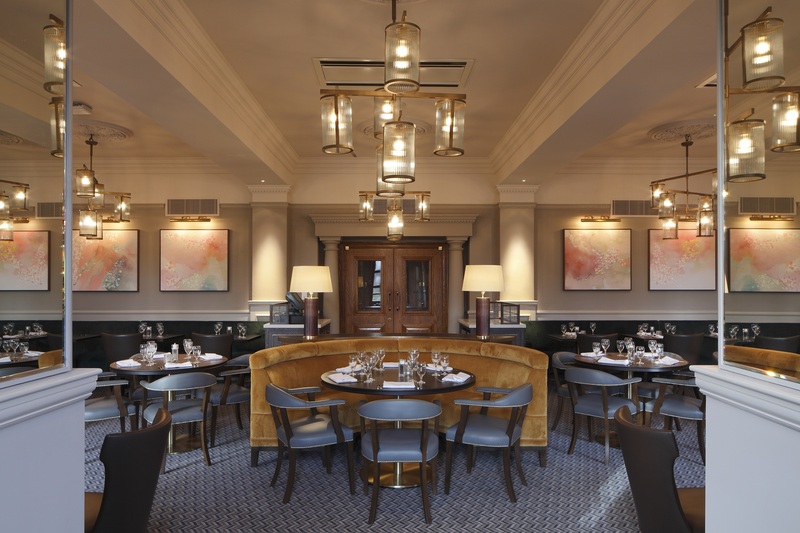 Following comment that its interior was beginning to look rather tired, Hilton embarked on a major revamp in 2017. Central Design Studio’s concept for the interior of this Grade II listed country manor house embodies a timeless elegance in keeping with its character. 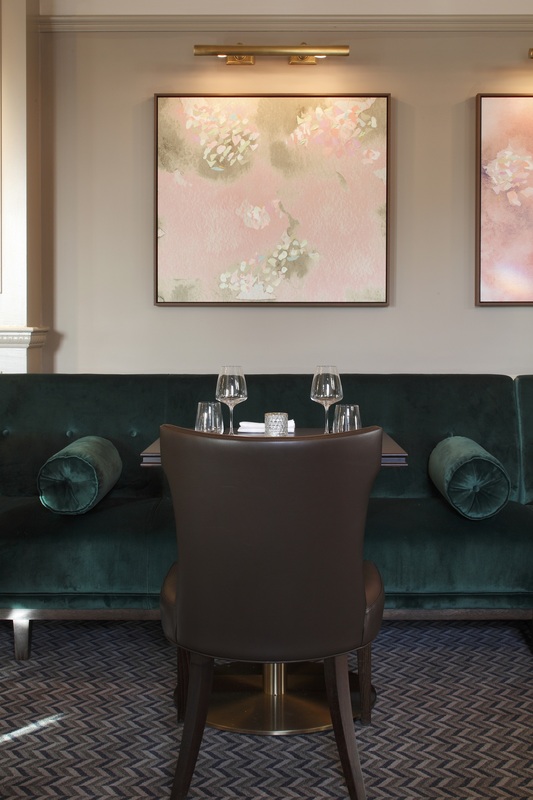 The new interior features Craftwood’s semi-circular banquette designs fitted into bays, styles varying from diamond button back, using fawn fabric and dark tan leather, to a fluted back version in fawn velvet, in addition a plain back, free standing model sports a sumptuous headroll. As well as curved seating Craftwood provided straight runs in a dark velvet with cylindrical bolsters topping off the whole ensemble in style. As with other prestigious projects Puckrup Hall required a prototype unit to assess quality prior to manufacture of what was a very large requirement for seating, a service Craftwood is more than happy to provide. 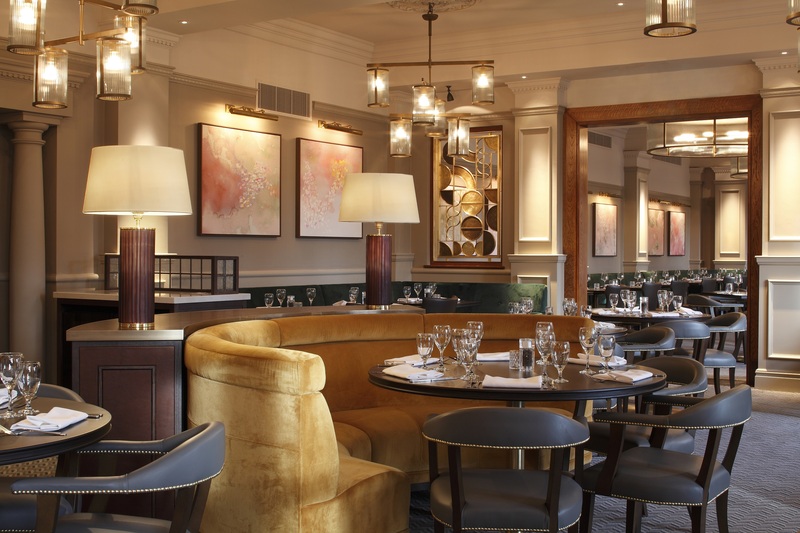 The final results of the remodelled interior, in which the seating forms a major feature, are very much in keeping with the tradition of style associated with Hilton Hotels and Puckrup Hall in particular, a testament to the sense of quality and style that Craftwood can bring to an interior design project.